Construction & Grading — Outdoor, Inc. Client needed paved access to multiple homes. We installed golf cart paths and drainage swales. Client in downtown area had cattle that needed to be able to cross a blue line stream. We installed a cattle crossing according to NRCS specs. 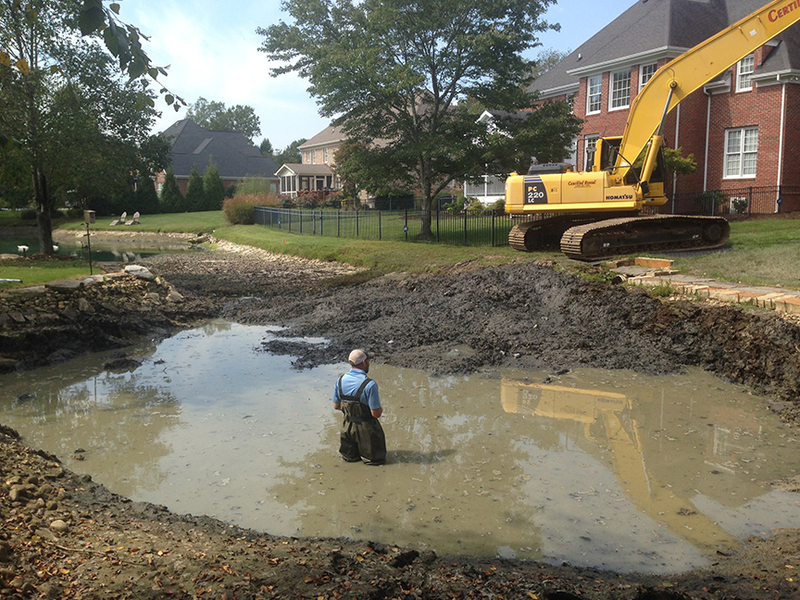 The ponds in one of our HOA accounts had an accumulation of leaves and silt in their ponds so we dredged the ponds. Fun!! A client in the Riverview area had a landmark tree in the area of building construction. We installed a boulder tree well to save a specimen White Oak. Client had a drainage issue that was causing erosion on some of their roads. Installed over 400ft of 30 Inch drain tile to catch storm water and repaired the road from storm water damage. Working for a general contractor. Built over 2,000 ft of road. Dug the basement and footers.